Good reads says: Loss can be tough to handle, but a young girl named Dawn Arterberry has made a fresh start. She has a new school and a new cello to match. That is, mostly new. 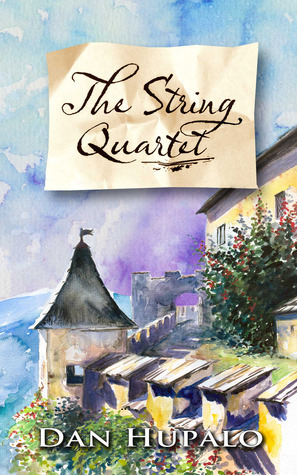 . . With her four new friends, Dawn tries to solve the mystery that has taken over her life. What is the Rheingold? Who is the Charmed Duke? And what does the grandfather she never knew have to do with any of it? Its "just right." You know what I mean? I really enjoyed the characters and how they are, and what they do. The story is based on another, and I think Hupalo did a fantastic job of adapting it to modern day times/ lit, which is really hard thing to do. Becuase lets me honest, it could have gone one of two ways, disaster, or fantaster. This though, was great. The characters don't really need much of a mention, because they mention something that I have no comment on? They're just right the way they are, they're dynamic, realistic, and each and every one of them bring something to the plot. I read this book in one sitting, because I was curious to the outcome, and I assure you, that you won't be let down. I applaud you Hupalo. I'm pleased to say that this plot is origional. I'll be honest, I did a little lost at one point, but I think that's down to me and my absent mind. So the only other thing I have to say is that I think around the middle (sorry) the plot weakens a little. Now this isn't due to terrible writing or a horrible plot twist that forces me to throw the story across the room and cry about it, its because the writing is academic with a variety of levels of understanding. Its really not a bad thing, honestly, because somehow Hupalo made it work. So again- applase is needed. Notes: A safe read, for all ages!